Another day, another UV filter that gets a bad rep.
You need sunscreen. And you need it to be safe. That means going to the bottom of these rumours and figure out which UV filters are good and which are bad. What The Heck Is Octinoxate and what does it do? Octinoxate is the easy-to-remember name for Octyl methoxycinnamate. For the nerds among you, it’s an ester formed from 2-Ethylhexanol and Methoxycinnamic Acid. Octinoxate is an UVB filter. This means it protects skin only from UVB rays and the sunburns and DNA damage their cause. According to smartskincare.com, “when exposed to sunlight octyl methoxycinnamate is converted into a less UV absorbent form (from E-octyl-p-methoxycinnamate into a Z-octyl-p-methoxycinnamate)”. In plain English, this means that when you expose it to sunlight (and it needs to be exposed to sunlight or what’s the point of wearing sunscreen? ), it loses some of its effectiveness. Thankfully, there’s a workaround. Add other UV filters that can prevent this conversion, such as Tinosorb M.
Short answer: no. There’s no evidence that Octinoxate causes cancer (or hormonal disruption and any other health problems, for that matter). The long version: Octinoxate still isn’t dangerous for you. The rumours originated from a few studies that Octinoxate is toxic for rats – when they eat a truckload of it or scientists apply it to their uterus and liver cells. An example? In 2004, scientists at the University of Zurich fed rats Octinoxate and found it to disrupt their hormonal balance. But rats aren’t humans. Just because something hurts them, it doesn’t mean it will hurt us, too. Plus, we don’t eat Octinoxate. You slather it on your skin. That’s a huge difference. To say that sunscreen with Octinoxate causes cancer because rats that were forced to eat too much of it got cancer is bad science. Can Octinoxate Be absorbed by Your Body? In 2005, researchers in Australia found traces of Octinoxate in the stratum corneum and epidermis 24 hours after it was applied on the skin. Their conclusion? The amount of Octinoxate in the epidermis was “at least 5-fold lower, based on levels detected in viable epidermal cells, than those appearing to cause toxicity in cultured human keratinocytes. It is concluded that the human viable epidermal levels of sunscreens are too low to cause any significant toxicity”. Translation: the amount of Octinoxate in the epidermis is too low to cause any health problems. If you’re pregnant/breastfeeding or using sunscreen on a young child, I’d avoid Octinoxate and use a mineral sunscreen instead. They’re gentler. But there’s no reason why all other adults can’t use it. Octinoxate doesn’t play well with Abovenzone, the most used UVA filter in the world. When exposed to sunlight, Octinoxate degrades both itself and Avobenzone, which isn’t very stable to begin with. It’d be too long and boring to explain how this happens. If you’re curious, you can check out this detailed post by John Su’s at Future Derm. All you need to know is this degradation makes your sunscreen ineffective. To slow it down and make sure you’re protected for at least a couple of hours, formulators add stabilisers like Octocrylene. Still, if your sunscreen has both Octinoxate and Avobenzone, it’s not a bad idea to reapply it very frequently. What Are The Best Sunscreens With Octinoxate? Elta MD UV Lotion Broad-Spectrum SPF 30 Plus ($30.00): available at Dermstore and Walmart. Octinoxate isn’t toxic and won’t give you cancer. Just make sure you avoid pairing it with avobenzone. Do you use sunscreens with Octinoxate? Share your faves in the comments below. 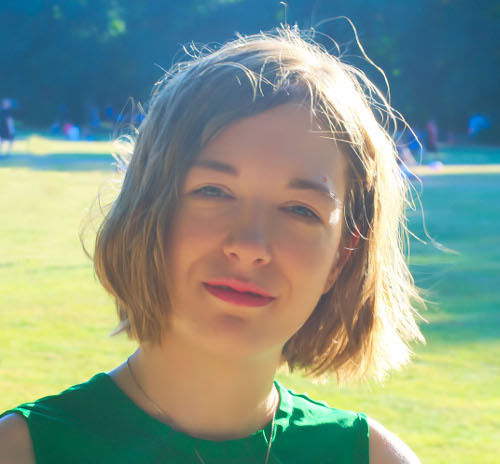 Yes, I do use the EltaMD UV SHIELD BROAD-SPECTRUM SPF 45 and I’m quite happy with the product as you can put it on and put makeup over it and it’s perfectly fine. I occasionally use products with avobenzone such as Neutrogena Ultra Sheer Dry touch lotion if I’m going to be at the beach (which is rare). If I’m going to be in the sun or outdoors, then I really like using Alba Botanica Hawaiian Natural Sunscreen with Green Tea, SPF 45. Monica, EltaMD and Neutrogena make some great sunscreens, don’t they? I’m glad they work well for you too. Gosh, I learn so much from you Gio. Beautiful with Brains, indeed. I just read this post, thank you Monica! Been so worried about the Chanel Vitalumiere Aqua compact which I use but I only just read that it contains Octinoxate and going on the EWG site scared me about Octinoxate. Mrsshukra, you’re welcome. And stay away from the EWG. Their scary reports are always dismissed by scientists. They may have good intentions, but have a tendency to misinterpret studies and exaggerate potential dangers. Grittc, you can relax, you didn’t harm you baby. Octinoxate was shown to have an estrogenic effect on rats, but they were given very high amounts of it. We don’t know how it affects humans, which is why some experts recommend not to use it during pregnancy, but it is highly unlikely that using it in the minuscule amounts you did for only 8 weeks did any damage. I would recommend you switch to a zinc-oxide (non-micronized) based sunscreen, though, as that’s the safest option for pregnant women. Thank u sooo much really appriciate it :). I am a lil relieved now.I understand wht ur saying about testing on rats with high amounts.most websites just state the findings and dont elaborate on the way they tested. I love the way you explained the studies. Thank u sooo much for ur info. Do you actually understand how research works? It’s unethical and illegal to conduct the sort of human subject research you propose because of the potential unknown harms people would be exposed to. Researchers can’t just give people a substance to see if they develop cancer…. Studies are conducted using rats because they have one of the most similar hormone/reproductive systems to humans. Kate, where am I proposing we do cancer tests on humans?! I’m only saying that you can’t compare the results of a study done by exposing rats to high amounts of octinoxate to humans who use a little amount on their skin. Of course I am NOT in any way, shape or form, proposing we test this stuff on humans. I’m appalled you got that idea, to be honest. Wendy, I couldn’t agree more! Deepa, if you’re not allergic to them, yes it’s safe. 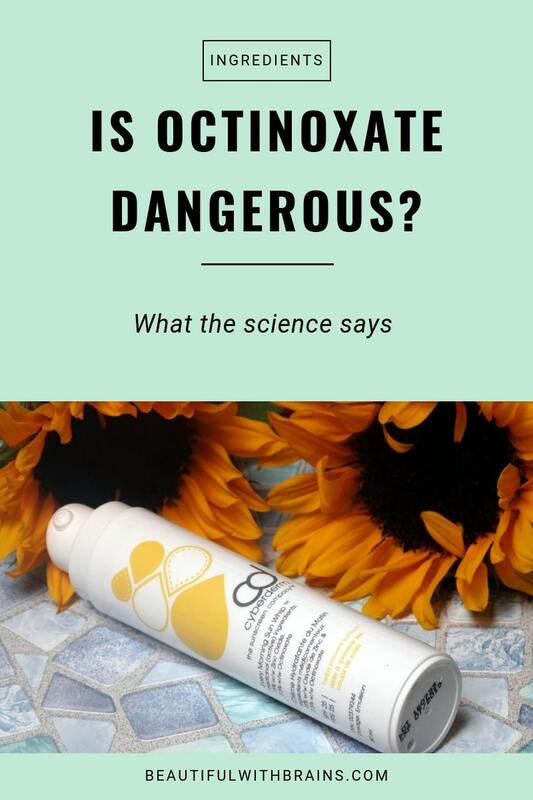 i am using foundation that contains Octinoxate about 4.9 % ,do you think it is safe to use? Shal, unless you’re allergic to it, it’s safe.